Short Talks - Filmmaker Interviews: A warm welcome to the big premiere! A warm welcome to the big premiere! Since the beginning of February the Shorts team is in their current phase evaluating all the International Short Films entries for 2011. To us this means our time to make Short Talks more popular and to carry expectations of the previous years to a larger public. 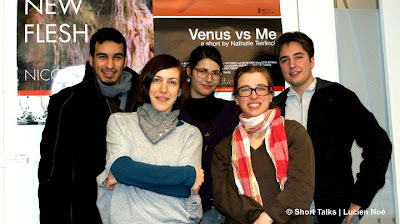 This blog will make its addition to contribution, but above all it is to serve us between the 10th till 20th of February 2011 to provide for you our first hand experiences of the Berlinale with up to date events and refer our personal favorite short film highlights.